Do you enjoy writing? Do you want to make new friends without ever leaving the comfort of your own home? Corresponding with a pen pal allows you to do just that! Thinking about what kind of pen pal you want, sharing your life with them in prose, and developing a genuine interest in them is the surest way to build a solid foundation for many years of happy letter-writing. Next, develop the body of the letter. This is where you’ll communicate at length with your pen pal. It can be 2 to 5 paragraphs. Finish with a closing. It usually consists of a final paragraph and a signatory phrase like “Sincerely,” followed by your signature. 2Reveal facts about yourself gradually over time. Introduce yourself in your first letter with the basics, like your hobbies and interests. Don’t reveal everything at once; you’ll have plenty of time to share things as you grow closer. If you reveal too much at first, you won’t have much to write about later. As you get to know your pen pal better, you ‘ll get a sense for their interests and sense of humor. You’ll also feel more comfortable expressing yourself. 3Be cautious about what you share. If writing to a pen pal in prison, do not include self-incriminating information. Prison mail is screened carefully and you might get in trouble when prison staff discovers your secrets. If you are an undocumented immigrant, do not include this fact in your letters — you never know who your pen pal is sharing their correspondence with. Information about your income or wages should also remain confidential. Do not share too much too soon, especially information that might give away your identity, like your full name and looks. If you don’t feel comfortable with a stranger knowing your address, rent a PO box. 4Ask lots of questions. Show an interest in your pen pal’s life. Ask questions about your pen pal’s work, hobbies, and family. Invite your pen pal to share their feelings on a variety of common interests. Develop a genuine curiosity about your pen pal and don’t be shy when writing. For instance, if they mention that they do track and field, ask how fast they can run, if they’ve ever participated in a relay race, and what the furthest distance they’ve ever run is. 5Don’t be invasive. While you will have lots of questions about their life, you need to stay cognizant of their boundaries. If you’re writing to a pen pal overseas, they might assume a different level of familiarity and comfort with you than you do with them. It may be awkward for them to talk candidly about certain topics. If you sense some reticence on the part of your pen pal, avoid snooping into their habits and life. If your pen pal doesn’t answer certain questions, don’t ask them again and assume the topic is sensitive. If your pen pal insists on certain boundaries, respect them. For instance, if they don’t want to talk about their sexuality or family life, don’t insist on it. Similarly, don’t feel obligated to talk about things you’re not comfortable with. Let your pen pal know of any topics which you don’t want to talk about. 6Close your letter with a question. Instead of just saying goodbye and leaving it at that, ask a question in addition to your goodbye. This give them something to answer in their next letter. Rather than asking a random question, however, ask something that relates back to the topic of your letter. At the very end, skip 2 lines, then write “Sincerely,” “Take it easy,” or “Until next time.” Sign your name right under that. 7Address your envelope, then send it out. Write your address in the upper left corner of the envelope, and your pen pal’s address in the middle of the envelope. The address should consist of 3 lines. Your name (or your pen pal’s name) goes on the first line. The street address goes on the second line, and the city, state, and zip code go on the final line. 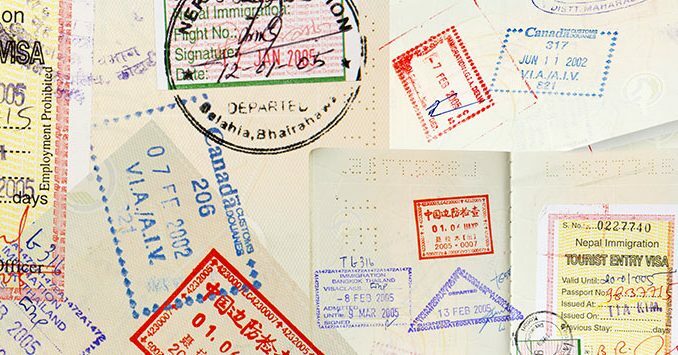 International letters may require additional lines for the country. Ask your post office for help, if needed. Don’t forget to add postage. It’s a good idea to take your letter to the post office the first time you send it out so that you know which stamps you need to mail it. If your pen pal lives the US, use forever stamps, which will cover the postage regardless of any changes in price. 8Be patient when waiting for a reply. Your pen pal, like you, is a busy person. Don’t expect a reply overnight. Wait at least two weeks for a reply. If your pen pal doesn’t write back within two weeks, send them another letter or — assuming you have their email address — an email. Many people are used to instantaneous communication, like texting and phones, and consider writing letters as a waste of time. However, one of the virtues of writing letters is that it does take time and thus requires (and instills) patience. I want a PenPal out of the states? Where is a good website to get a penpal? what is the best website to find free penpals ? Get Penpals aorund the world?